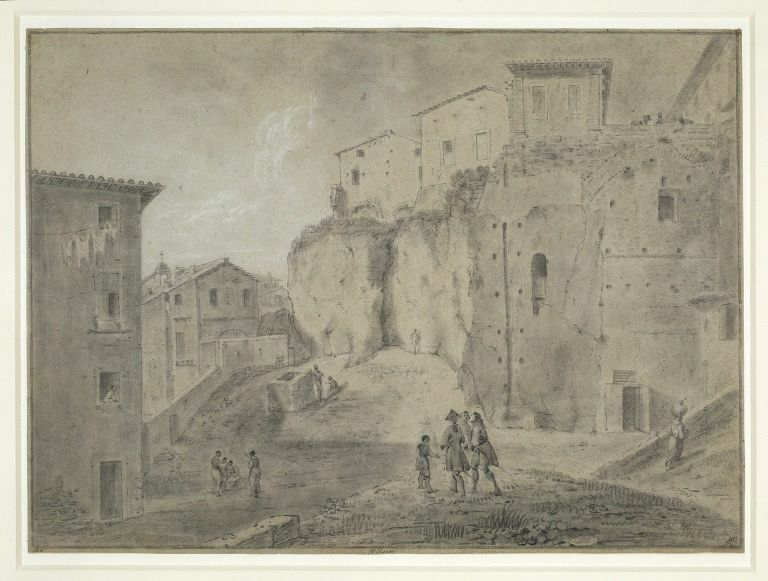 Ruins; A boy soliciting alms from three gentlemen who examine the buildings; other figures grouped about; Drawn with black chalk on grey paper, slightly washed with Indian ink and heightened with white. Collections-Dr. Munro and William Esdaile. 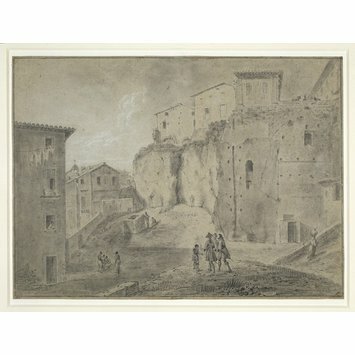 Wilson, Richard (RA); Ruins; A boy soliciting alms from three gentlemen who examine the ruins; other figures grouped about; Drawn with black chalk on grey paper, slightly washed with Indian ink and heightened with white; English School; 18th century.